We supply complete auto bricks making machines and plants with installation and after sale services. We also supply concrete block making machine in Bangladesh and India. Please click here if you want concrete block making machine instead of clay brick making machine. Bricks are the only man-made building materials that testify to their use since the early human civilization. 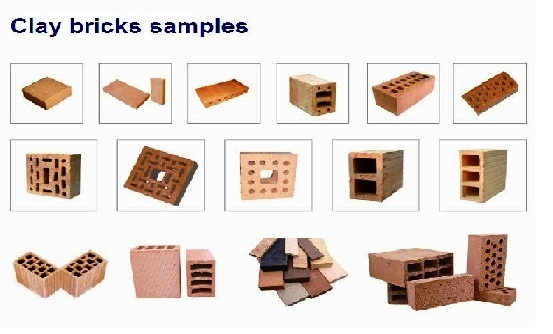 With their attractive appearances and superior properties such as high compressible strength and durability, excellent fire and weather resistance, good thermal and sound insulation, bricks are widely used for building, civil engineering work, and landscape design. Bricks for building may be made from clay, shale, soft slate, calcium silicate, concrete, or shaped from quarried stone. However, true bricks are ceramic, and therefore created by the action of heat and cooling. Clay is the most common material, with modern clay bricks formed in one of three processes - soft mud, dry press, or extruded. Bricks may also be classified as solid (less than 25% perforations by volume, although the brick may be "frogged," having indentations on one of the longer faces), perforated (containing a pattern of small holes through the brick removing no more than 25% of the volume), cellular (containing a pattern of holes removing more than 20% of the volume, but closed on one face), or hollow (containing a pattern of large holes removing more than 25% of the brick's volume). Blocks may be solid, cellular or hollow. A kiln, for firing, or 'burning' the bricks. Drying yard or shed, for drying bricks before firing. A building or buildings for manufacturing the bricks. Are you looking for cement or concrete block making machine? Please click here. In a typical modern brickworks, clay is taken from the quarry, and then carried by conveyor belt or truck/lorry to the main factory, although it may be stockpiled outside before entering the machinery. When the clay enters the preparation plant (Clay Prep) it is crushed, and mixed with water and other additives which may include breeze, a very fine anthracite that aids firing. This process, which is also known as pugmilling, improves the consistency, firing qualities, texture, and color of the brick. From here, the processed clay can be extruded into a continuous strip and cut with wires, or put into moulds or presses (also referred to as forming) to form the clay into its final shape. After the forming or cutting, the bricks must be dried, either in the open air, in drying sheds, or in special drying kilns. When the bricks have been dried, they must then be fired or 'burnt' in a kiln, to give them their final hardness and appearance. A box feeder is designed for storage, dosage and preliminary breaking up of materials used in clay brick production. Their basic functionality is to dose and transport raw material for further production stages. Plate feeder is used to convey diferent kinds of particulate, lumpy materials in horizontal or inclined direction in building material, metallurgical, coal and chemical industries, and it's suitable for feeding lumpy lime stone, gypsum or clay from the bottom of feed bin to the inlet of crusher continuously and evenly. 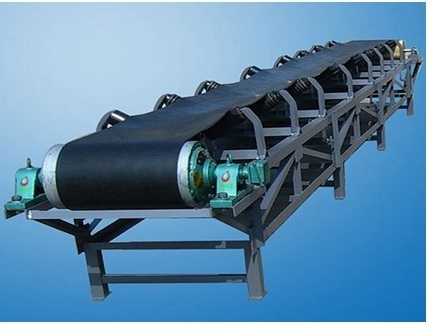 Belt conveyor is used in the transmission of sections like Clay Preparation, Molding, Loading & Unloading, etc. 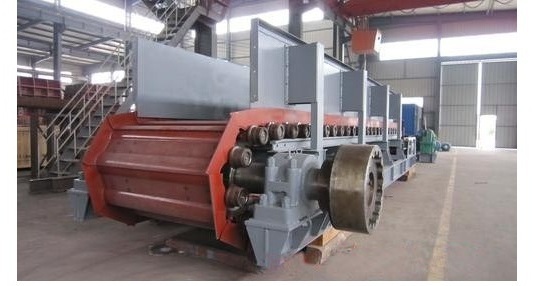 Double roller crusher is mainly used for the crushing of medium or lower-hardness mines and rocks with medium or lower rigidity in the cement, metallurgy, chemical industry, electric power, coal and other industry. The crushing materials include limestone, slag, coke and coal. 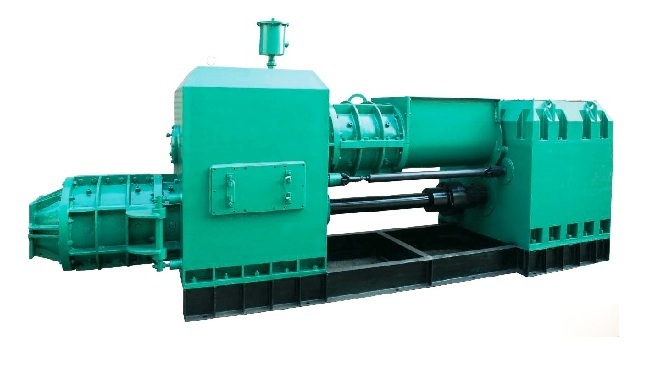 Double Shaft Mixer efficiently mix dry to very wet materials, or blend liquids and sludges with dry solids. Materials can range from wet and sticky clays, sludges, or filter cakes to silty, sandy soils and other abrasives. These machines can be used as pugmills for mixing liquids or sludges with dry solids, especially when a greater tub volume is required for longer retention times. Most often, they are used for the intensive blending of two dissimilar wet or dry materials. For extruded bricks the clay is mixed with 10-15% water (stiff extrusion) or 20-25% water (soft extrusion). This is forced through a die to create a long cable of material of the proper width and depth. This is then cut into bricks of the desired length by a wall of wires. Most structural bricks are made by this method, as it produces hard, dense bricks, and suitable dies can produce holes or other perforations. The introduction of holes reduces the volume of clay needed, and hence the cost. Hollow bricks are lighter and easier to handle, and have thermal properties different from solid bricks. The cut bricks are hardened by drying for 20 to 40 hours at 50 to 150 °C before being fired. The heat for drying is often waste heat from the kiln. 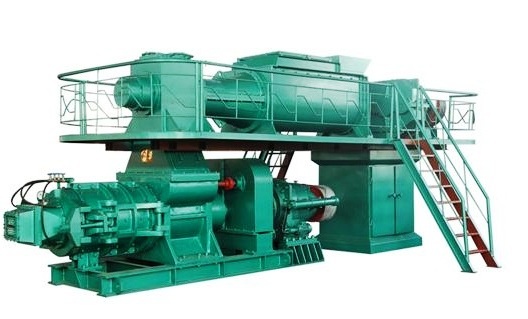 Vacuum extruder of hard plastic are mainly used to produce bricks with low plastic materials as raw materials, such as coal gangue, fly ash, shale, sandy soil of poor quality, etc., and produced bricks strength can reach 3.5-4 KG/cm2. 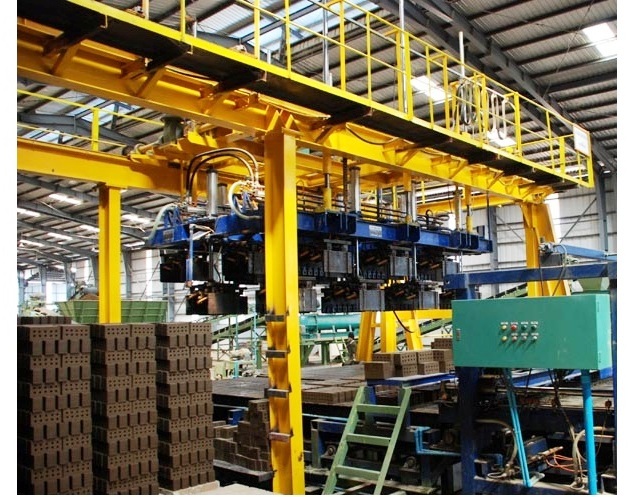 Automatic Unfired Brick Stacking Machine are used to pick up the grouped billet automatically (wet billet or dry billet) and put down them to the assigned position of the kiln car, and Suitable for both once brick setting system and twice brick setting system. There are many ways to putting down the billet ,such as putting down billet in face up or putting down billet in side face. The type of brick stacking machine can be designed according to user’s demand. The Hoffmann kiln is a series of batch process kilns. Hoffmann kilns are the most common kiln used in production of bricks and some other ceramic products. Patented by German Friedrich Hoffmann for brickmaking in 1858, it was later used for lime-burning, and was known as the Hoffmann continuous kiln. A Hoffmann kiln consists of a main fire passage surrounded on each side by several small rooms. Each room contains a pallet of bricks. In the main fire passage there is a fire wagon, that holds a fire that burns continuously. Each room is fired for a specific time, until the bricks are vitrified properly, and thereafter the fire wagon is rolled to the next room to be fired. Each room is connected to the next room by a passageway carrying hot gases from the fire. In this way, the hottest gases are directed into the room that is currently being fired. Then the gases pass into the adjacent room that is scheduled to be fired next. There the gases preheat the brick. As the gases pass through the kiln circuit, they gradually cool as they transfer heat to the brick as it is preheated and dried. This is essentially a counter-current heat exchanger, which makes for a very efficient use of heat and fuel. This efficiency is a principal advantage of the Hoffmann kiln, and is one of the reasons for its original development and continued use throughout history. In addition to the inner opening to the fire passage, each room also has an outside door, through which recently-fired brick is removed, and replaced with wet brick to be dried and then fired in the next firing cycle. In a classic Hoffmann kiln, the fire may burn continuously for years, even decades. Any fuel may be used in a Hoffmann kilns, including gasoline, natural gas, heavy petroleum and wood fuel. 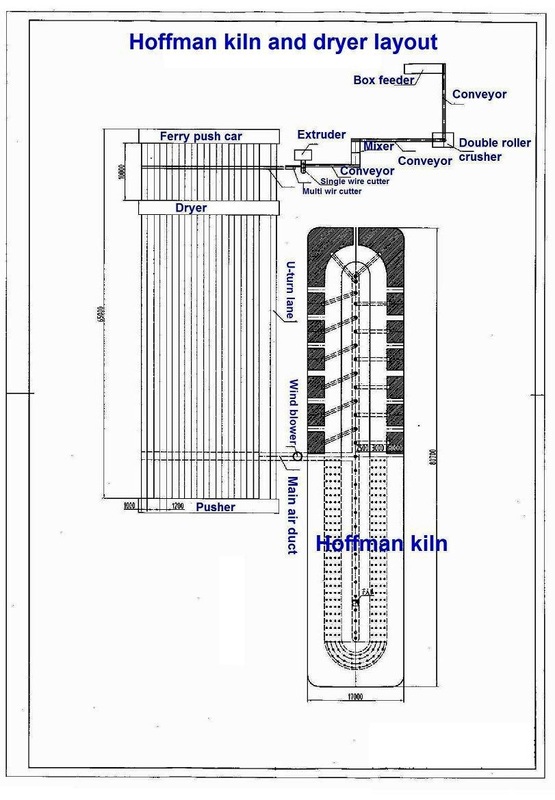 The dimensions of a typical Hoffmann kiln are completely variable, but in average about 4 m (height) x 15 m (width) x 150 m (length). 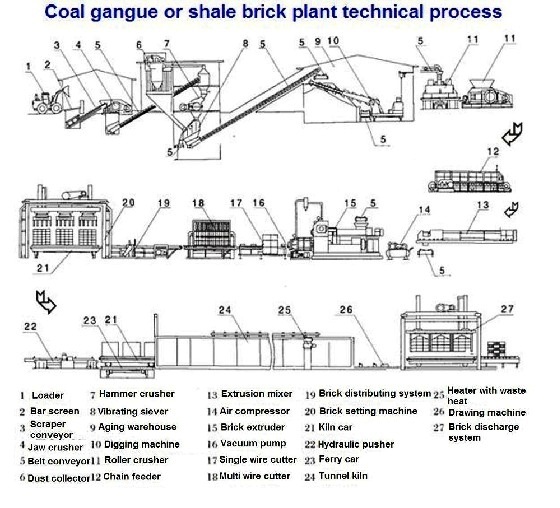 In modern brickworks, clay bricks are usually fired in a continuously fired tunnel kiln, in which the bricks move slowly through the kiln on conveyors, rails, or kiln cars to achieve consistency for all bricks. Tunnel kiln is a long structure in which only the central portion is directly heated. From the cool entrance, ware is slowly transported through the kiln, and its temperature is increased steadily as it approaches the central, hottest part of the kiln. From there, its transportation continues and the temperature is reduced until it exits the kiln at near room temperature. The tunnel kiln is composed of of furnace body, traction system, rail, kiln-car, and firing system, hot air ventilation system, control system, etc. The design and manufacture of the tunnel kiln could be negotiated based on customers' request, including chamber dimension, working Temperature, controlling method and number, traction way and speed as well as heating power. Basically, a brick kiln consists of two main parts. One is drying chamber. The other is tunnel kiln. There is no special burning system for drying chamber. 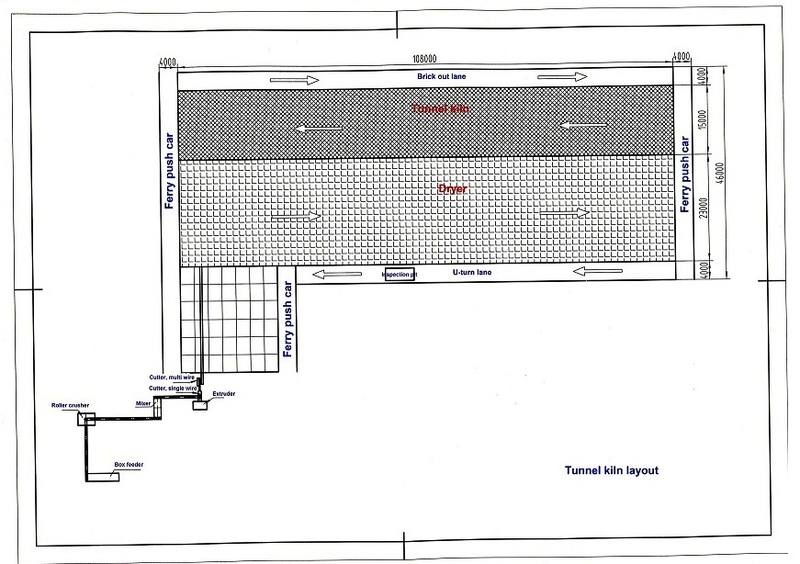 The extra heat used in tunnel kiln will be feedback to drying chamber through a pipe system. We supply all kinds of auto brick making machines, complete auto brick production line, turn key solution. Please contact us for detail information and quotations.